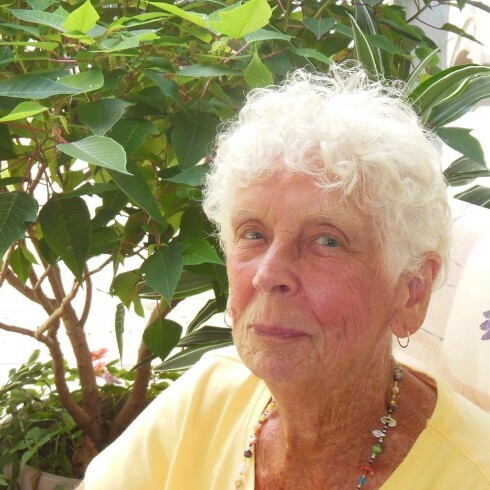 Madelyn (Carr) McAdam, 90, of Thomaston, CT passed away suddenly on Sunday July 1, 2018. She was the wife for 65 years of the late George E. McAdam. She was born to the late Carroll and Christine (Ivy) Carr on March 31, 1928 in Littleton, Maine. Madelyn worked for the Thomaston Board of Education for many years as a cook and “lunch lady” at Black Rock School. She loved children and she loved to read and play Scrabble. In her younger days, she and George went square dancing and bowling with a group of couples. She lived a quiet peaceful life and never expected fanfare. Madelyn is survived by two children: Claudia Laxar and her husband Kevin of Stonington, CT and Brian McAdam and his wife, Maryann Sandford of Thomaston, CT. She is also survived by her granddaughter, Erin Chasse and her husband Todd and six great-grandchildren, as well as her sister Mildred Corey and several nieces and nephews. She was predeceased by her sister, Edith Fournier and her brother Allen Carr. Calling hours will be 5:00 pm until 7:00 pm on Thursday July 5th at Lyons Funeral Home, 46 High Street, Thomaston, with burial at 11:00 am on Friday at Hillside Cemetery, Center Street, Thomaston. Family and friends who wish to attend the burial are asked to go directly to the cemetery for a brief service. In lieu of flowers, the family is requesting that donations be made out to Thomaston Public Library, 248 Main St., Thomaston, CT 06787 in Madelyn’s memory.